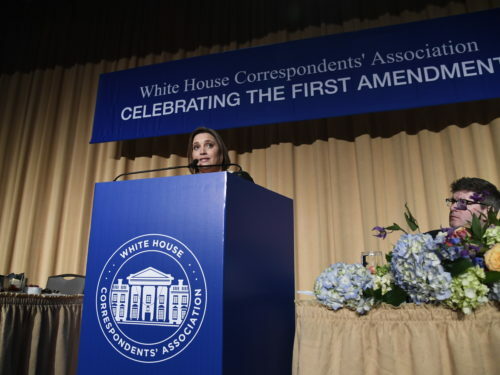 One name was on the tip of everyone’s tongue at the White House Correspondent’s Association’s annual dinner –George. 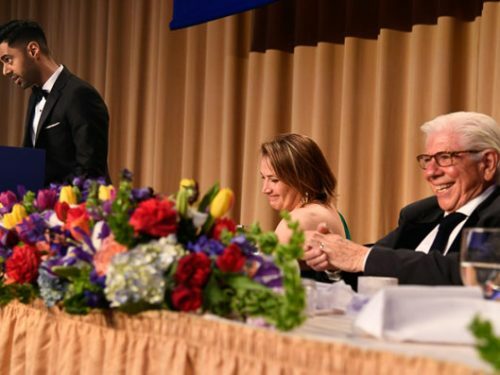 President Bush, the impersonator he brought along for laughs and actor George Clooney were the stars of this year’s dinner and talkfest held at the Washington Hilton. In front of journalists, celebrities, foreign dignitaries and members of his administration Bush and his gregarious impersonator, Steve Bridges, entertained. Standing side by side on two matching podiums, both with the presidential seal, Bush and his slightly taller alter ego delivered a joint speech with timing that rivaled the best of comedians. 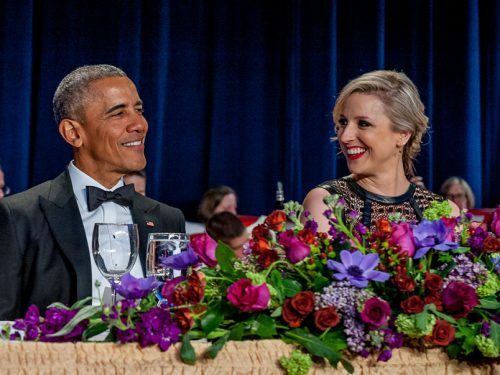 With a wry smile the president added that he always looks forward to attending the annual dinner. At a time when the president’s approval rating is at an all-time low Bush remarked that it’s important to laugh. And laugh the 2,600 guests did with Steven Colbert’s performance. In a special edition of the Comedy Central’s “Colbert Report,” he poked fun at the audience of journalists, politicians and celebrities. “I am appalled to be surrounded by the liberal media that is destroying America , with the exception of Fox News” Colbert said. “Fox News gives you both sides of the story — the president’s side and the vice president’s side.” He commiserated with Bush on the president’s 32 percent approval rating, telling him to see his glass as half full rather than empty. Colbert declared the president a man who sticks to his convictions.“He believes the same thing on Wednesday that he believed on Monday no matter what happened Tuesday,” Colbert said.